Gathering around the table for brunch with family members young and old is without a doubt our favorite part of Easter. The afternoon egg hunt is a close second, though! Whether you have aunts, uncles, grandparents, or cousins joining the feast, you need something that won't keep you confined to the kitchen all day long. These eight hands-off recipes give you time to step away and spend more time with the people you love. 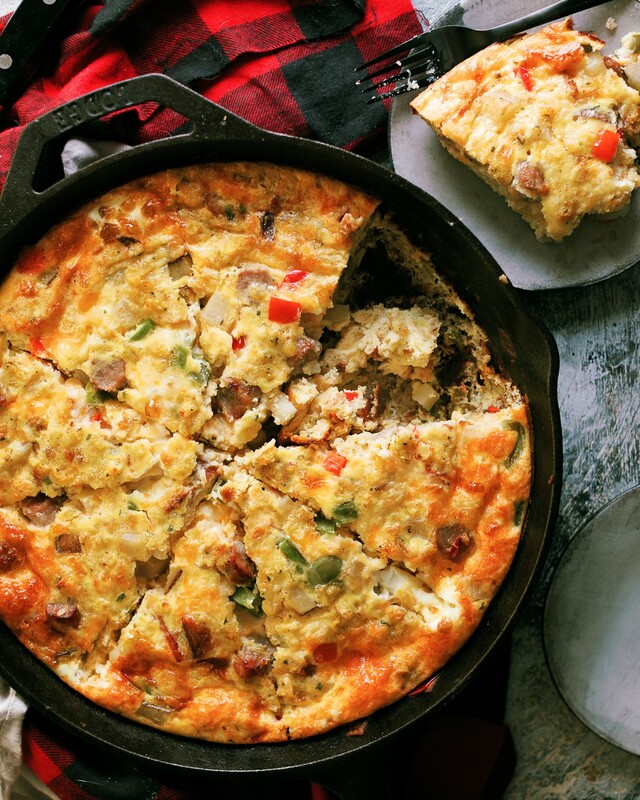 While frittatas aren't exactly casseroles in the traditional sense, they're the perfect option when you need to feed your in-laws, nieces, and nephews on Easter morning without missing out on family time. 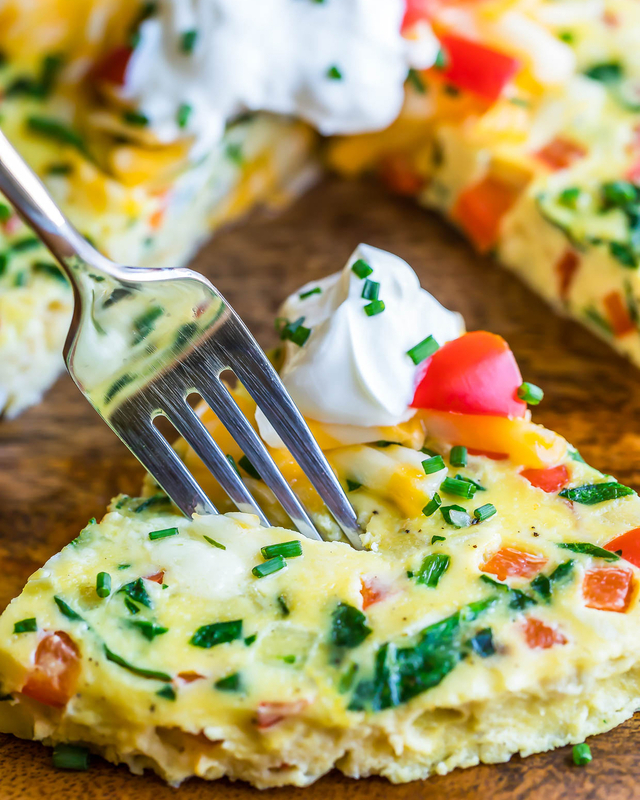 To mix things up, let everyone choose from toppings like sour cream Greek yogurt, fresh chives, salsa, or hot sauce. Shakshuka is a favorite among most brunch lovers. It's forgiving, easy to customize, and pretty much guaranteed to be delicious no matter what you add. 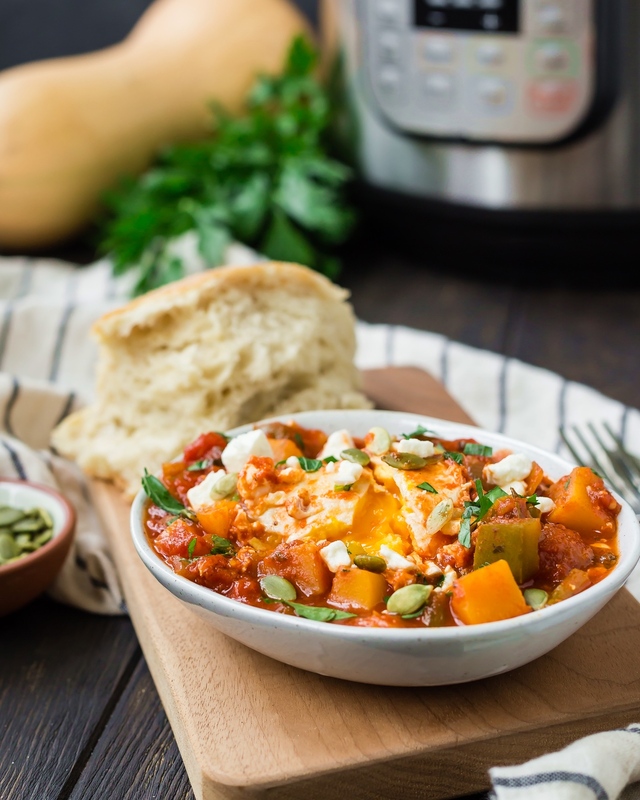 This veggie-filled shakshuka is the perfect choice for Easter because everything happens right in your Instant Pot, meaning less cleanup for you and more time to catch up with your extended family. Simple ingredients go a long way in this Whole30 compliant dish, which is exactly what you need to kickstart Easter on healthy note. 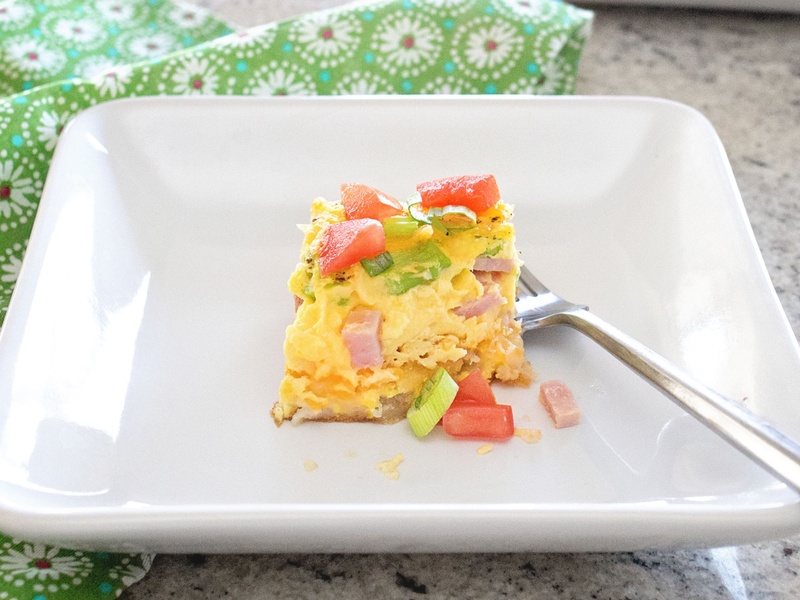 If your family is avoiding those adorable chocolate bunnies and sugar-packed jelly beans this year, just pop this casserole in the oven for a hands-off breakfast that you can feel good about. It's the perfect prelude to your Easter ham! With this cheesy potato and cabbage hash on your Easter brunch menu, you can let the oven do most of the work. 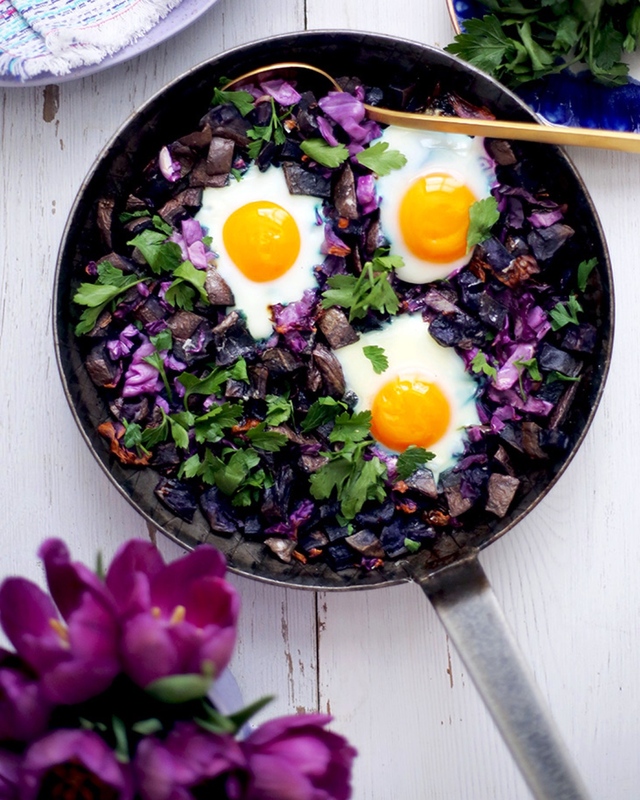 It's easy on the eyes, too: the whimsical magentas and purples from the potatoes and red cabbage make it a great dish to munch on over playful stories about the Easter bunny. This casserole is a kid-pleaser, so it's perfect if you're hosting nieces and nephews on Easter morning. It all happens right in your Instant Pot: cinnamony French toast bites are coated in nutty praline streusel and lip-smacking vanilla icing. You can get a lot done while it's cooking, including decorating eggs or hiding candy around the yard. 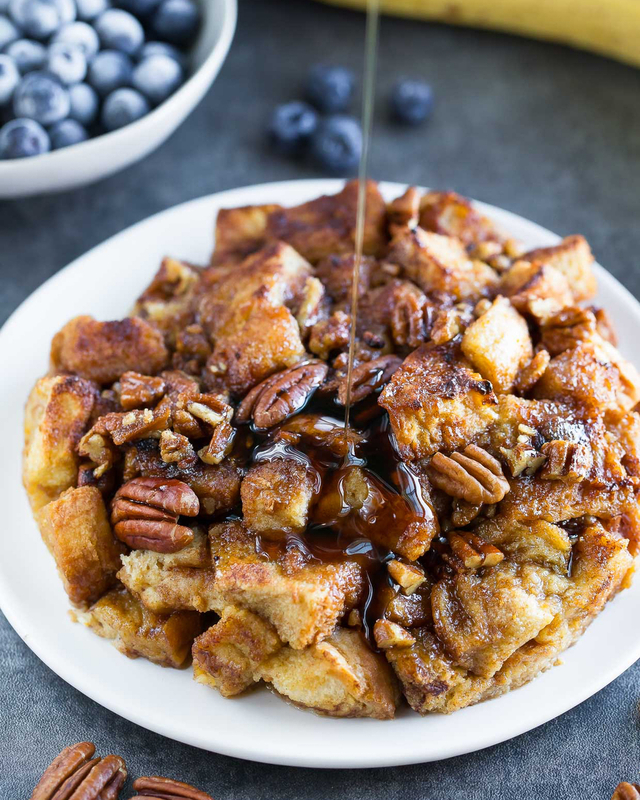 If you're looking for an irresistable brunch dish that doesn't require a lot of mixing, stirring and satueing, this is the recipe for you: 100% of the cooking happens in the oven. Hosting an all adult Easter with friends? You get bonus points for serving these tater tot nachos with pastel pink strawberry mimosas. 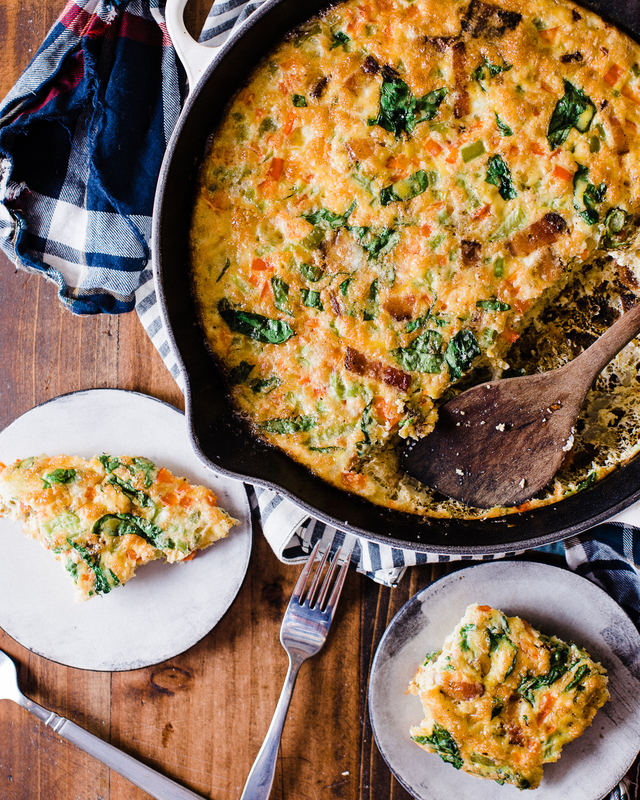 If you have leftover Easter bread, we highly recommend incorporating it into this stuffing frittata to cut down on the time you spend in the kitchen on Easter morning. No leftovers? Just use a loaf of store-bought Challah or any bread that you have on hand. We love brunch bakes because they're as "set it and forget it" as you can get. 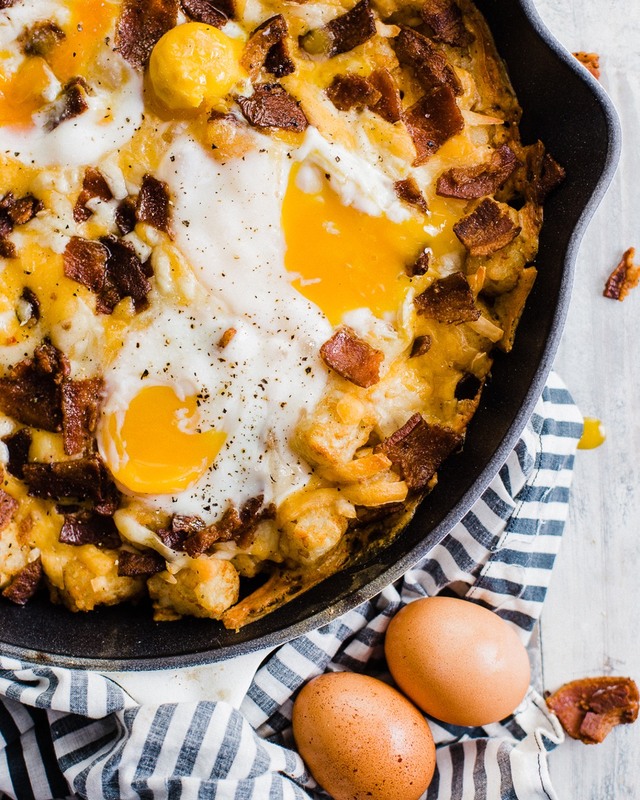 This one's a real winner: ham, cheese, and egg, all sitting atop a crispy hash brown crust? The classic flavors of Easter never tasted so good.